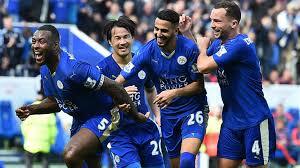 Leicester City Football Club (LCFC), also known as “The Foxes” based at the King Power Stadium in Leicester (England). The club has been FA Cup finalists four times, in 1948–1949, 1960–1961, 1962–1963 and 1968–1969. They have 2 times playoff final wins and 1 League 1 title. They achieve the FA Community Shield in 1971, and they were runners-up of FA Community in 2016. They have been runners-up in League Cup in 1964–1965 and 1999 and also won the 3 times in 1964, 1997 and 2000. The Foxes, The Blues and City. 'The Foxes' are the LFCS’S nicknames. The club’s home grounds are King Power Stadium and Filbert Street.